Bright and spacious one bedroom suite in the conveniently located and rainscreened La Galleria building. The great floor plan is complimented by natural light pouring through big arched windows. Updates to this home include fresh paint throughout, some appliances, flooring, bathroom vanity and tile. The bedroom will easily accommodate your king size bed and has direct access to the balcony where you can sit back and take in the city and mountain views. 1 parking and storage included. Pets and rentals allowed with restrictions. Truly a wonderful place to call home, a great Fairview condo! 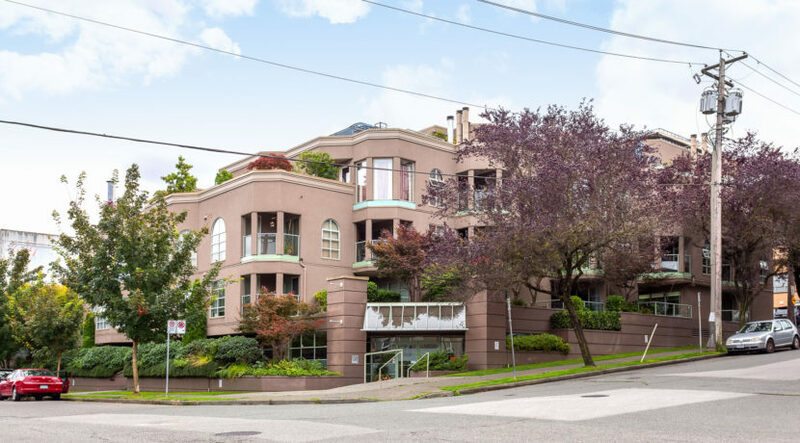 Excellent access everything Vancouver has to offer in a really fabulous, convenient location! Direct routes to UBC, Downtown, the iconic Vancouver Seawall, blossoming Olympic Village with cafes, restaurants & breweries, Granville Island with markets, live entertainment etc, Kitsilano with beaches, shopping & dining, VGH, the booming Cambie Village Shopping District with Home Depot, Winners, Canadian Tire, Whole Foods, Milestones, Starbucks etc, The Canada Line rapid transit, and the Bee-Line rapid bus along West Broadway.